538's predictions- Celtics at #10- why the disrespect? "...analytics is crap" because the NBA is all about talent and that proponents of analytics are "a bunch of guys who ain't never played the game [and] they never got the girls in high school." "Analytics don't work at all. It's just some crap that people who were really smart made up to try to get in the game because they had no talent. Because they had no talent to be able to play, so smart guys wanted to fit in, so they made up a term called analytics. Analytics don't work. 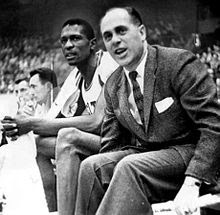 The Boston Celtics won 11 of 13 NBA titles from 1957 through 1969, a dominance unparalleled in modern sports. Elo doesn’t care about rings, though, and knocks the Celtics for their weak opponents and occasionally lackluster regular seasons (at least relative to their playoff achievements). So even a quote referring to the Celts getting no respect builds on that disrespect. The references to weak opponents and lackluster regular seasons? It demeans a team to indicate it won because the other teams were weak. Were the regular-season records lackluster compared to the playoff records because Boston was so strong they could rest their stars for the playoffs? Probably. Elo ratings have a simple formula; the only inputs are the final score of each game, and where and when it was played. Teams always gain Elo points for winning. But they get more credit for upset victories and for winning by larger margins. Elo ratings are zero-sum, however. When the Houston Rockets gained 49 Elo points by winning the final three games of their Western Conference semifinal during the 2014-15 playoffs, that meant the Los Angeles Clippers lost 49 Elo points. In 2015-16, our projections were based on a combination of Real Plus-Minus (RPM), a system that rates each player primarily based on how his team performs when that player is on or off the court, and Box Plus/Minus (BPM), a system that rates players using traditional box-score statistics such as assists and steals. Last year, we switched to using BPM only. Why? There are a lot of things to like about BPM, including that it’s considerably more transparent than RPM, and it can be calculated going back several decades, making for easier historical comparisons. But as a predictive tool, BPM does not appear to be as accurate as RPM. Instead, BPM has trouble picking up on factors such as defense and team cohesion. That led CARMELO to overrate teams such as the Minnesota Timberwolves and underrate more defensive teams such as the San Antonio Spurs last year. If we’d run the numbers using RPM instead of BPM in 2016-17, our projections would have been above-average again as compared with the projection systems that APBRmetrics tracks, we discovered. All of this stuff gets complicated, and discussions can quickly devolve into alphabet soup. But for better or worse, the choice of metric matters quite a lot. According to BPM, Russell Westbrook’s 2016-17 season was easily the greatest in NBA history. According to RPM, he was only the ninth-best player in the league last season. The upshot is that in the short run, we’re using a blend of two-thirds RPM and one-third BPM for this edition of the CARMELO projections. In the long run, we’re interested in developing our own plus-minus stat (but no promises about that quite yet). Some feel analytics are great predictors of future team and player success. I am not one of them. Not yet. Analytics are fine for breaking down player and team performance from the past. They tell us a lot about a player's overall value and a team's capabilities. 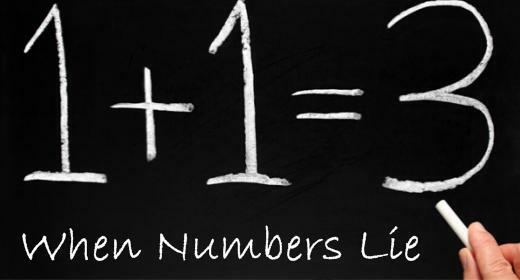 But using only numbers to predict future events in basketball may never happen. We seem to be able to predict the weather much better than in the past, but wind, rain and snow don't have personalities, suspensions or torn ACL's. Hurricanes don't demand trades to other locations. Analytics neglect the human factor. They are a very useful tool, but only that. So back to the agenda. 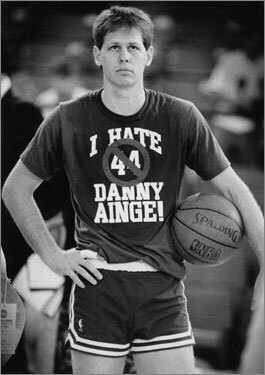 Once Ainge was settled in to his role with Boston, he soon became known as Trader Danny. I suggest you read Justin Quinn's article on the subject at CelticsLife. His trade of draft picks with Philadelphia reminds us of Red's similar move where he swapped picks and chose Kevin McHale third in the 1980 NBA draft. Auerbach had many battles, some physical, that he mostly won. David Friedman of 20SecondTimeout wrote that Red's response to verbal attacks was 'Oh, I just outlived the bastards'. The jealousy and antagonism remain today. The NBA season starts tomorrow. A number of writers and analysts are not giving the Boston Celtics the respect they deserve. Nothing new there. I am absolutely proud to be a long-term Celtics fan and now writing about them for CelticsLife. Our message to those who disrespect our team- to paraphrase Red Auerbach- "Let's show the bastards! ".